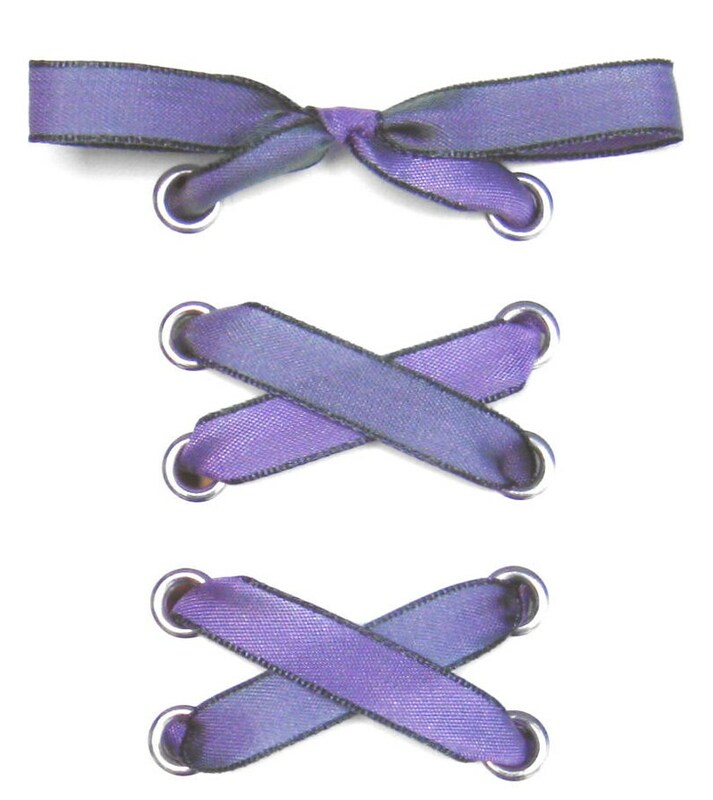 THE SHOELACES SHOP-Purple & Green Iridescent Ribbon Shoe Laces, Cute Shoelaces, Custom Shoelaces, Colorful, Shoestrings, "Purple Phaze"
These iridescent shoelaces are a combination of violet purple and spruce green. 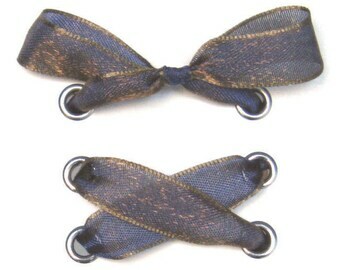 One side is all violet with the dark green edges, and the other side is a violet background with a little green woven in for an iridescent effect. You can get a better look at the two different sides in the third photo (and don't forget to "zoom" in on the photos for a better look). 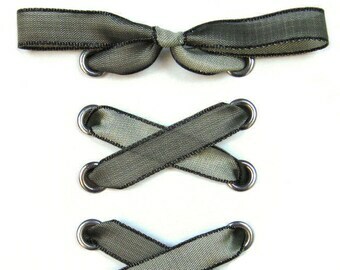 These shoelaces have a soft drape and are 3/8" wide. THE SHOELACES SHOP-Blue & Gold Ribbon Shoe Laces, Ribbon Shoelaces, Cute Shoelaces, Custom Shoelaces, Navy Shoelaces, Metallic, "Gold Dust"
THE SHOELACES SHOP-Pink & Orange Ribbon Shoelaces, Ribbon Shoe Laces, Cute Shoelaces, Custom Shoelaces, Shoestrings, "On the Bright Side"
THE SHOELACES SHOP-Black Metallic Ribbon Shoelaces, Metallic Shoe Laces, Silver Shoelaces, Custom Shoelaces, Cute Shoelaces, "Black Tie"
THE SHOELACES SHOP-Zebra Print Ribbon Shoelaces, Black Shoelaces, Custom Shoelace, Extra Wide Shoelaces, White Shoe Laces, "Z is for Zebra"
THE SHOELACES SHOP-Navy Metallic Ribbon Shoelaces, Shoe Laces, Cute Shoelaces, Custom Shoelaces, Navy Blue Shoelaces, "Midnight Sparkle"
THE SHOELACES SHOP-Barbed Wire Ribbon Cotton Shoelaces, Ribbon Shoe Laces, Cute Shoelaces, Custom Shoelaces, Boot Laces, "Barbed Wire"
THE SHOELACES SHOP-Metallic Ribbon Shoelaces, Shoe Laces, Custom Shoelaces, Silver Shoelaces, Gold Shoelaces, Cute Laces, "Twinkle, Twinkle"
THE SHOELACES SHOP-Purple & Green Iridescent Ribbon Shoe Laces, Shoelaces, Purple Shoelaces, Green Shoelaces, Shoestrings, "Purple Phaze"
Shipped quickly!! Beautiful and high quality!! Love them!!! 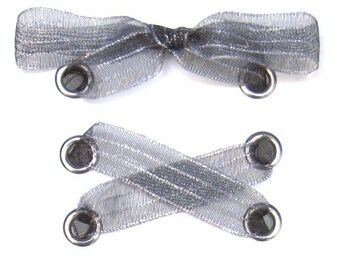 THE SHOELACES SHOP-Black Metallic Ribbon Shoelaces, Metallic Shoe Laces, Silver Shoelaces, Black Shoelaces, Satin Shoelaces, "Black Tie"
THE SHOELACES SHOP-Organza Black and White Ribbon Shoelaces, Shoe Laces, Cute Shoelaces, Custom Shoelaces, Polka Dot Shoelaces, "Action!" 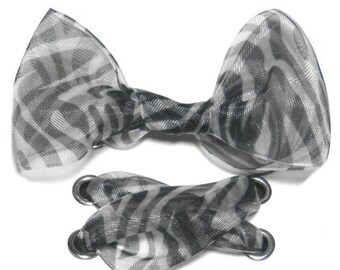 THE SHOELACES SHOP-Silver & Pewter Ribbon Shoelaces, Shoe Laces, Gray Shoelaces, Cute Shoelaces, Custom Shoelaces, "Precious Metal"
THE SHOELACES SHOP-Camouflage Satin Ribbon Shoelaces, Ribbon Shoe Laces, Custom Shoelaces, Cute Shoelaces, Camo Shoelaces, "Jungle Love"
THE SHOELACES SHOP-3/8" Grosgrain Ribbon Shoelaces, Custom Shoe Laces, Shoestrings, Cute Shoelaces, "With The Grain (3/8 Inch)"
THE SHOELACES SHOP-Polka Dot Grosgrain Ribbon Shoelaces, Cute Shoelaces, Red Shoelaces, Black Shoe Laces, Custom Shoelaces, "Dot Matrix"
THE SHOELACES SHOP-Leopard Print Ribbon Shoelaces, Shoe Laces, Extra Wide Shoelaces, Cute Shoelaces, Organza Shoelaces, Custom, "Catwalk"
THE SHOELACES SHOP-Black & Green Iridescent Shoe Laces, Ribbon Shoelaces, Cute Shoelaces, Custom Shoelaces, Shoestrings, "Zombie Glow"